The city of Charleston is a uniquely American city full of character, history, and a southern-sized portion of charm. Also known as Chucktown, Charlestown, “The Chuck” or the “Holy City”– it is a pretty amazing place to call home. There has been high praise for this little piece of paradise. Together, Bridgepoint Property Managers have come up with 14 reasons to move to Charleston, SC. What’s better than beautiful weather? A nice beach to enjoy it on! Charleston offers 6 of the top beaches in South Carolina. In fact, nowhere else in the state is there such a wide selection of beachfront real estate. Folly beach is a popular destination for surfers. For some seclusion, Seabrook and Kiawah are solid options. For an upscale and newer feel, head over to the Isle of Palms. Wild Dunes beach is great for people looking for some outdoor fun, while Sullivan’s Island located on the East Coast is great for adventure. Don’t like winter that much? Charleston is certainly ideal for you. Mild weather means outdoor enjoyment year-round. It rarely snows during Charleston winters. From December to February, normal temperatures range from about 36 to 62 degrees Fahrenheit. You can still enjoy outdoor activities even in the middle of winter. People who like taking a daily jog or a walk will particularly love it. 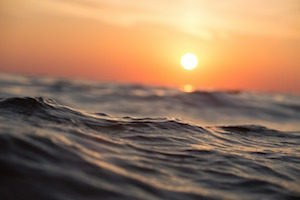 The hottest months are usually May to August, where the temperatures typically range from 62 to 91 degrees. In some rare occasions, the temperature can soar to slightly over 100 degrees. The warm weather is what makes Charleston such an attractive city. A strong local economy almost always equates to great job opportunities. In fact, many people move to Charleston for this reason alone. In the last couple of years, there have been huge investments in the city that have gone to creating new businesses. Volvo and Boeing are perhaps the biggest additions. Some of the huge industries involve the medical field, the military, and the ports. In the United States, Charleston harbor ranks as the fourth biggest. The military employs over 27,000 people in the Charleston area. According to estimates, the military alone accounts for about 3.28 billion dollars. Besides the military, and the port, Charleston also relies heavily on tourism. It is estimated that tourism alone brings in about $5.4 billion each year. Charleston has been named by AARP as being among the top five in the U.S. for retirees. The city is home to some of the best medical care facilities in the country. Retirees will be pleased to find that there are plenty of age-restricted communities. 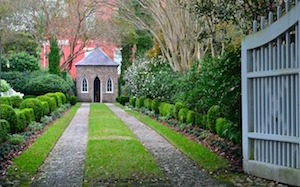 One such popular community is the 55+ communities in Charleston. After graduation, most end up living in the city. Charleston is nearly 350 years old. It was founded in 1670 – and thus the oldest city in the country. 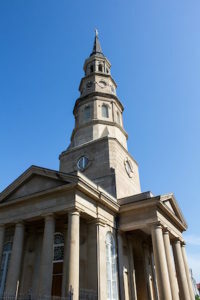 It has the oldest community-based historic preservation group – The Preservation Society of Charleston. Charleston is also the first city in the country to establish a board of architectural review. The board was established in 1931. There’s a nice collection of historical buildings reflecting a variety of architectural styles. The styles include Victorian, Italianate, Greek Revival, and Federal. The beautiful aesthetics of Charleston make it an attractive tourist attraction. Charleston has some of the top boutiques in the country and the oldest antique establishments. King Street has all you want and more for your inner shopaholic. From 1-5 pm, King Street is blocked off from Calhoun to Queen Street on the second Sunday of each month. With motorists out of the way, pedestrians are left to enjoy everything that King Street has to offer. There’s also live music to complement the leisurely strolling through the streets. Every Sunday, you’ll find that Charlestonians know how to brunch in style. There’s never a shortage of new menus to try and staple establishments to fall back on for. There are always a vast array of new restaurants and cuisines constantly opening their doors. Both the oldest community theatre troop in the state (the Footlight Players) and the first theatre in America (Dock Street Theatre, 1736) can be found in Charleston. Also, Charleston has a symphony orchestra and professional ballet as well. Charleston is more than just one of the country’s most beloved cities. It is a great place for outdoor activities. To start with, it is home to 5 beach towns: Sullivan’s, Seabrook, Kiawah, Isle of Palms, and Folly Beach. Each having its own unique vibe. Charleston is a drinking community. Although the city has some of the best happy hours, tasting tours are also a fun local activity. Some of the breweries and distilleries in Charleston include High Wire Distilling, Holy City Brewing, Charleston Distilling, Striped Pig Distillery and more. There’s lots of live music. In this regard, there’s Royal American, The Charleston Pour House, Charleston Music Farm, and Charleston Music Hall. Charleston is a festival/event-driven community. You might be overwhelmed especially if you come from a small town with, say, five or ten major festivals. On a given week each summer, there’re probably 40-80 events. Including farmers markets, pop-up sales, fund-raisers, concerts, events, and festivals. Condos and cookie cutter apartments are being built at a rapid rate throughout the Lowcountry. You may choose Mount Pleasant, Summerville, Hanahan, North Charleston, James Island, or West Ashley. Each of these has its own personality, culture, and economic standing. Buyers will find a great selection of homes and neighborhoods to meet their families’ needs. Charleston also has some of the best schools. Furthermore, there’re lots of kid-friendly places too. They include county parks, the Children’s Museum of the Lowcountry, and the SC Aquarium. There’s also the children’s hospital at MUSC, which parents will certainly be pleased with. As can be seen, Charleston is a great place to live in. The reasons are to live here are as varied as the people who give them. Charleston offers something for everyone, whether you’re searching for an exciting town in which to start a new career or you’re simply looking for a warm, sunny place to live.